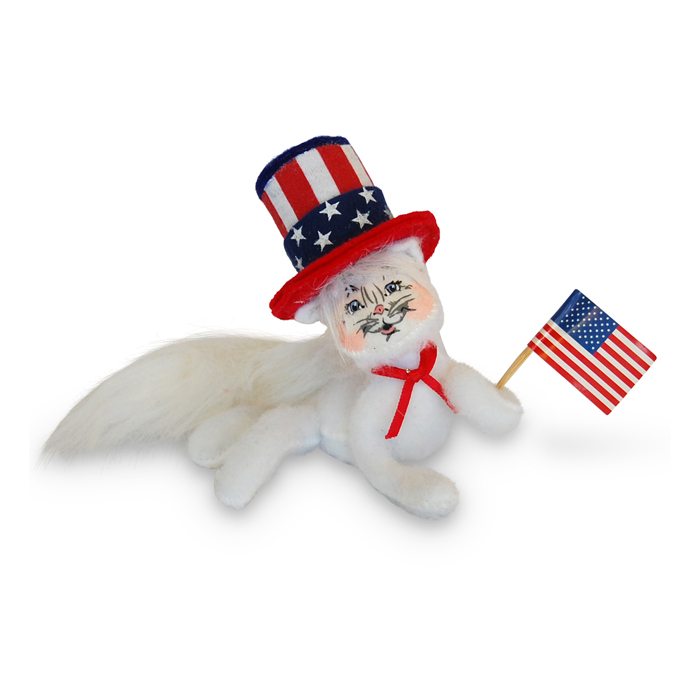 This 4 inch white kitty is adorable with a red and white striped hat upon its head. The lid to the hat is a solid royal blue and there are stars on the hatband as well. This little one is holding a flag too! Cute little item to add to your Patriotic collection!